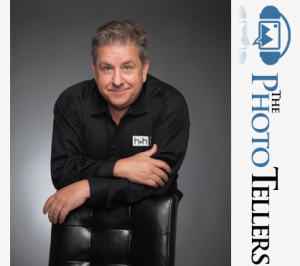 Texas School instructors, students and vendors sit down with Bill Ramsey of The Photo Tellers to share their thoughts, tips and stories about Texas School, photography and much more. Check us out! 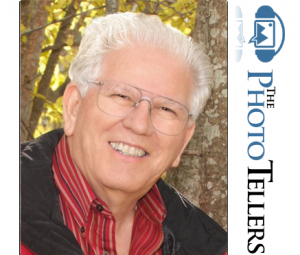 Hear Don Dickson’s interview about Texas School on The Photo Tellers radio program hosted by Bill Ramsey. Why does Texas School attract attendees from 44 states, 8 countries, 55 instructors, 75 volunteers, 40 models, and $280,000 of equipment (free for the students to use)? Pour a cup of coffee, click play, and you’ll hear why before you’ve finished your drink. 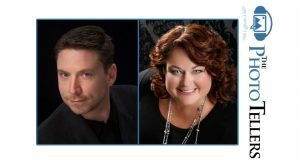 Gregory & Lesa Daniel are members of some of the world’s most prestigious photographic societies. It started when Greg, a 12 year old kid, suffering an injury that forced him into a Photography class instead of sports. You’ll also hear how the art world has shaped Greg & Lesa’s work–starting with the difference between an $80,000 artwork and one that’s $4,000. Is there an actual difference, or is it just a matter of semantics & engaging wordplay? And if there IS a difference, how does it affect the value–and price tag–of a Photographer’s work? 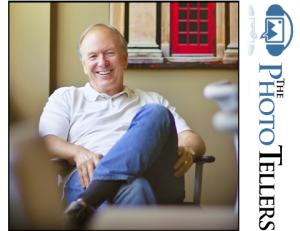 Today’s conversation is part 1 of my talk with Mr. Don MacGregor. Don is the guy who was photographing weddings at 16 years old. His Grandma had to drive him to the venue, then drop him a few blocks away so that the crowd wouldn’t know. 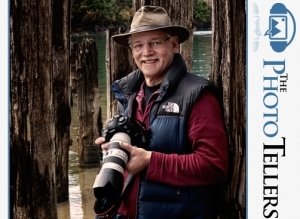 Now, 40+ years later, Don rarely photographs weddings. Instead, he loves his work in the “most rewarding and lucrative type of photography.” What type of photography is it? You’ll soon hear. Before my talk with Don, I’d already scribbled an entire page of notes & questions. The guy has a tremendous wealth of knowledge that he’s generous to share, so make sure you tune into the 2nd half of his conversation. Highly-anticipated, much-requested, here is the 2nd half of the conversation with Mr. Don MacGregor! As I teased last time, today’s conversation begins with Don discussing trends in the industry that “drive you crazy. What dragons do you want to slay?” After that, you’ll also hear about the educational opportunity so amazing that even BEARS attend! -Do you want to hear me challenge Don on his assertion that the best re-touchers are those who learned in the pre-digital age? It’s here. =How about a discussion about the value of online vs. in-person education? Got it. -Would you like to know how to more effectively sell your work? Don will provide his own scripts. -Did you say you wanted some wisdom from William Branson III, and also Frank Cricchio? Done. Wouldn’t it be nice to have a “bird’s eye view” of the Photo industry? Mike Hanline, Co-Owner/CEO of White House Custom Color, does. 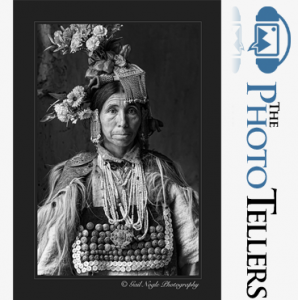 -What questions should a Photographer ask when shopping for a professional lab? -How does professional paper print differently than most papers? -The method that “astute Photographers” are using to stay ahead. They’re not focused on _______, but instead, ________. Just as you, Photographer, see the same scene differently than another Photographer, your Photo Lab sees your images differently than another Lab. Invest a few minutes to see how White House Custom Color sees your work. They’re glad to print 5 free prints for you. Often called the “Master’s Master,” Frank Cricchio, photography icon and first person to earn 1,000 merits from PPA, can’t stop studying. -Do you wish you could book more weddings–without having to negotiate your price? -Do you photograph events? Are you a Cinematographer? 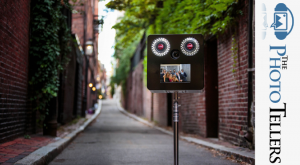 -Have you dreamed of a portable solution to the Photo Booth? How about a Photo AND Video Booth? Eric Barry did! He’s a seasoned Wedding & Event Photographer, Head Honcho of MediaBooth Pro, and Eric has a message for you! Hear why Eric says that the MediaBooth Pro has “been a marketing machine and a deal-closer” for his own photography business. Learn how it sells his weddings for him. Did I mention that it’s only 16×16 inches and 38 pounds? Did I mention that it captures photos AND video? Did I mention that it’s completely self-contained (no power cords!)? -Set up the booth at your event, and then walk away. Guests can operate the booth themselves via touchscreen. 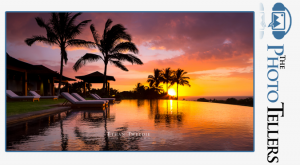 -After shooting their own photos and/or videos, Guests can then email, Facebook, or Tweet the media–IMMEDIATELY on site! And since you’re the savvy business person you are, each of those images & videos will display your logo & hashtags. Jamie is the guy who has always and only worked in Photography. Mary is the former client, now business partner and Photographer. Together they’re Hayes & Fisk Photography. Mary and Jamie specialize in highly-personal wedding photography, portraiture, and commercial projects. How is sales a part of marketing? Partnership marketing & why it’s so important. How to do it effectively. Are you a portrait photographer who is intimidated by the prospect of photographing a large family group? If so, you might be neglecting one of the most lucrative photography assignments on the market! 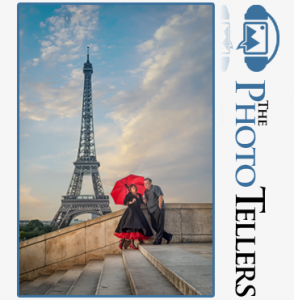 Trey & Elizabeth Homan from San Antonio, TX, join The PhotoTellers today. What can you expect from this conversation? 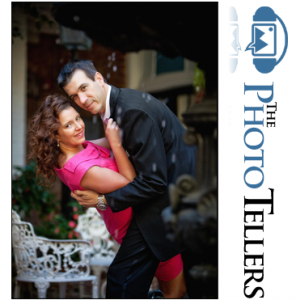 -What are the common characteristics of portrait photographers who are doing well in business? -What are the most common newbie mistakes? 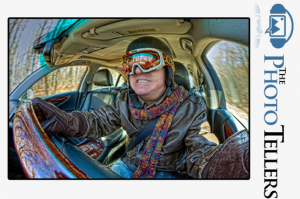 -In growing a business, which road should you take: Shotgun Approach vs. Concentrated Effort? -Just because you can, doesn’t mean you should.” How does this advice shape a business? Finally, you’ll hear how to establish a real relationship with your photo lab. And just cause Terry is such a great guy, H&H pays a $50 printing credit for testing their compatibility with new customers. Think of it like this: H&H is paying you to see if you like them or not! Not a bad deal. Kathy Drake Dabbs celebrates the 20th birthday of her photography studio! Are you a Photographer who finds him/herself giving away too much work–and therefore struggling to maintain a viable business? Kathy knows how you feel, and speaks directly to you. 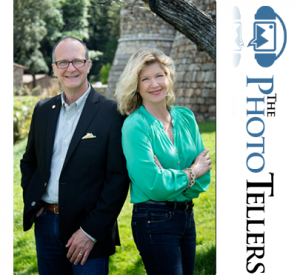 The conversation on today’s episode of The PhotoTellers takes us on a wild ride! Thank you, Mr. Ethan Tweedie! If you’re interested in Architectural Photography, or you want to hear an engagement story–you got it! What else? –What was the hand-scrawled message on a faded wall that profoundly impacted Ethan & his career? He still heeds the advice today. –“Be so good, they have to hire you.” How will your craft change if your work was seen worldwide? 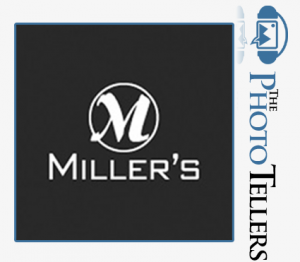 Vinnee McCraken discusses the impact that Millers Professional Imaging is having on the lives of thousands of Photographers. Maybe you’re a seasoned pro, maybe you’re a part-time warrior, maybe you’re a serious hobbyist. Whatever the case, Millers has a printing solution for you. -What’s new and hot at the lab right now? What new products are Photographers excited about? -Vinnie’s word of wisdom for ANYONE that wants to succeed in business. –Hear the excitement and sadness–and spirit of adventure–that led her through one of the world’s most publicized events. True. But let me ask you: Do YOU know anyone who is creating work by light painting? 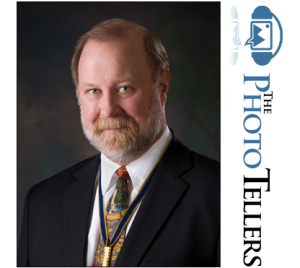 I do–his name is John Hartman, and he’s today’s guest on The PhotoTellers. 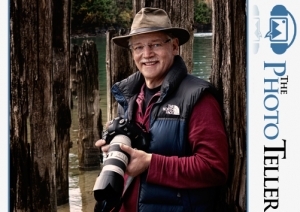 By most Photographers, John is known as one of the marketing gurus. Ironic, then, that his conversation delved into the work he’s doing as a light painter–work that has required minimal marketing for him to secure several lucrative jobs. 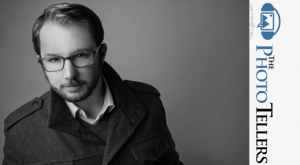 He’s a Photographer, an Educator, and Technical Representative for Sigma Corporation of America: He is Ryan Brown! -That Sigma actually offers over 50 lenses & 5 different cameras! -For the serious hobbyist/aspiring pro: What is the first lens you should buy after your “kit” lens? What 2 lenses will cover most of the work you want to do? Sip slowly your coffee, portrait Photographer, and listen to Cris Duncan’s reflections on his career. -Do you wonder if your craft can make a difference in the lives of others? Hear the story of Cris’ most memorable moment in photography . . . resulting in the photo of the beautiful girl below. -How can you keep a fresh eye for each client? Heed the sage advice Cris learned from the great Tony Corbell. 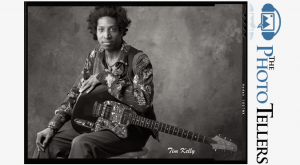 -Learn the lesson that Cris learned as a first-time Instructor at the Texas School of Professional Photography. 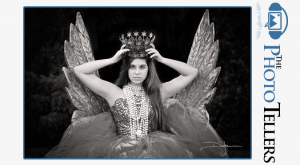 This is a brief conversation, but I’ve been fortunate to hear more from Cris in another episode of The PhotoTellers (6 Things Every Photographer Should Know). There is much, much more to come. Stay tuned!